The Race Product Development Multi-Mount System line of products is designed for the popular BBC. 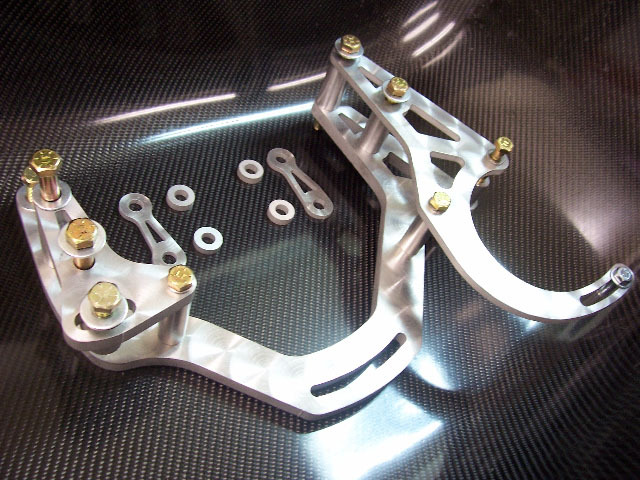 It solves complicated mounting problems we all run into with the ever-increasing amount of accessories on today's drag car. All systems are shipped as brushed aliminum within 2-3 days as they are custom built for you. 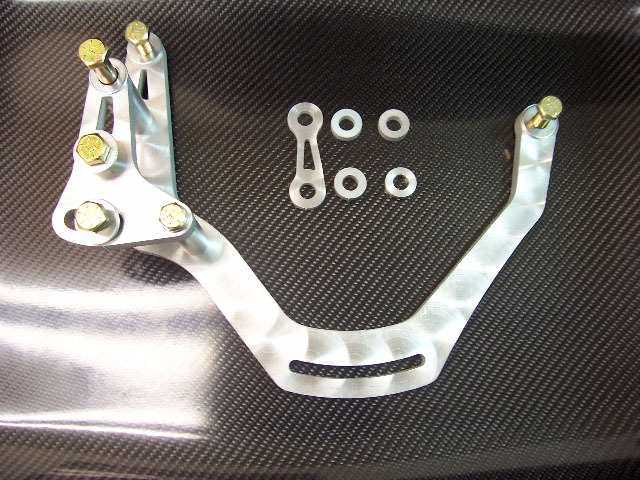 The picture below shows the basic components of the Multi-Mount System. This system allows you to mount virtually any mechanical pump, crank trigger and alternator with very few modifications. 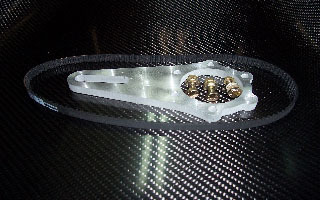 It includes spacers for full or no motor plate applications and includes all hardware and belts. 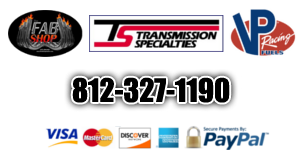 A full line of East Coast Auto Electric alternators are available with these systems. Click here to pick out the alternator that is right for you. 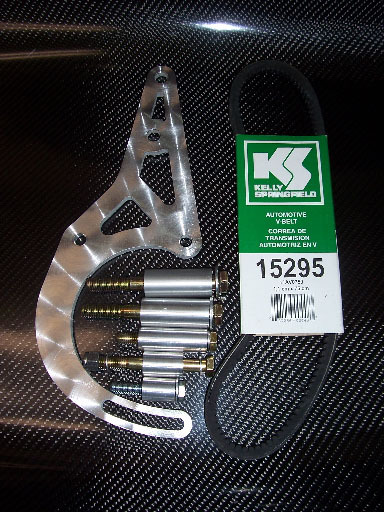 We also offer it an abbreviated version for the mechanical pump and crank trigger. ...and a mount for the alternator only. This is the lollipop drive to adapt the universal mount and allow it to accept the "off-breed" Ron's vane pump. CLICK HERE and scroll to the bottom of the page to see our mounts that work in conjunction with the Star "Standard" vacuum pump.